Home / All TV Shows / Climax! When will be Climax! next episode air date? Is Climax! renewed or cancelled? Where to countdown Climax! air dates? Is Climax! worth watching? Hour long dramatic anthology series that aired on CBS for four seasons from 1954-58. Most of the episodes were suspense or crime oriented. 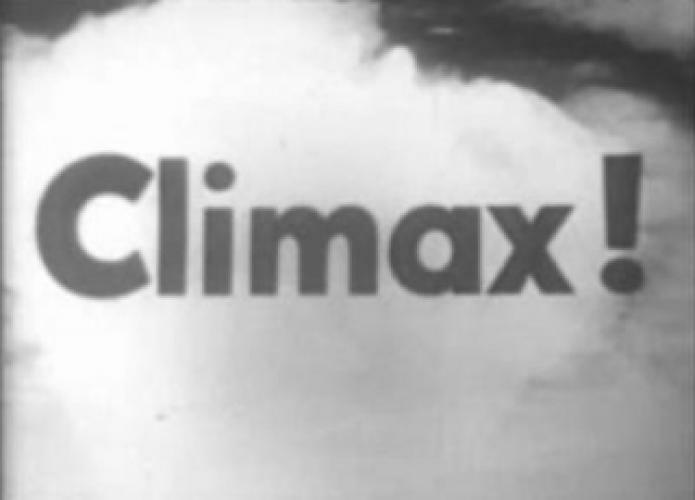 Climax! originally aired live but later switched to taped productions. The first appearance of the character James Bond was in an episode of the series entitled Casino Royale. EpisoDate.com is your TV show guide to Countdown Climax! Episode Air Dates and to stay in touch with Climax! next episode Air Date and your others favorite TV Shows. Add the shows you like to a "Watchlist" and let the site take it from there.